One of the oldest adages is” nothing is as simple as it first seems.” The notion of casting off the lines and simply sailing into the sunset, as romantic s it seems is fraught with problems. Since I am an educator I am tied to a school year. So the absolute earliest I can leave in any year is July 1st. The problem is, that due to the Southern Hemisphere Cyclone season kicking in November time is short to reach the recognized safety of New Zealand. 10000 nautical miles at an average speed of 5.5kn= a long time. 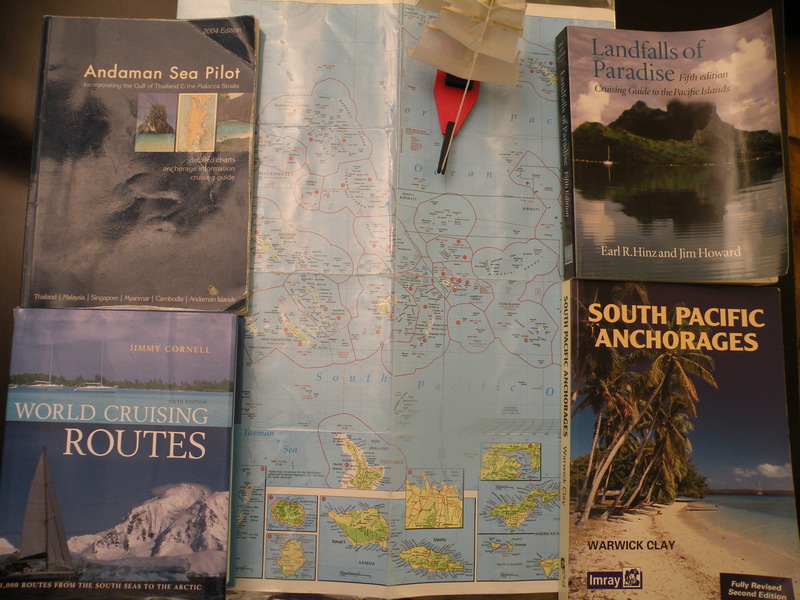 Another problem is that the late departure date could have the predominate winds turn against us making our planned initial destination in the Marquises Islands very difficult if not impossible. So do we go to Hawaii, coast hop down the US seaboard or head to Mexico? Maybe miss out french Polynesia? Maybe find a Hurricane Hole and on Fiji or ?